Former inmates confirm the brutal regime of Karelian prison colony No 7. The prison, which since August has housed activist Ildar Dadin, has a well-established system of oppression run by employees and a network of prisoners-collaborators, a former inmate says to online newspaper Meduza. According to the former convict, up to 15 prisoners serve as assistants for the prison managers. The person, who speaks on condition of anonymity, was himself one of the prisoners-collaborators, Meduza writes. It is not a legal practice, but it still continues. The employees would not alone have been able to handle the many prisoners, the former convict says. Prison No 7 in Segezha, Republic of Karelia, officially has capacity for up to 1342 inmates, of which 300 can be under condition of «strict regime». It is located only few kilometers from the border to Finland. The former prisoner confirms the brutalities described by Ildar Dadin. «Nobody complains. After all, what can a regular prisoner, who is usually unattached with the jurisprudence, do? From the very first day, it is hammered into everyone: Don’t think about complaining, nobody will believe you and it will only make things worse». The work in the the prison is «extremely unpleasant». In all kind of weather, in freezing cold, rains or heat, the prisoners are force to carry buckets of urine and pig dung from the swine house, and transport tons of coal. Without a stop, without a break. If not, they will be put in confinement. According to the ex-convict, every prison brigade has its elderly and a team of prisoner-collaborators. The colony leaders command the collaborators to search through the personal belongings of the prisoners and allow them to themselves execute punishment, also physically. In return, the collaborators are exempted from hard labor, they can sleep during day, drink tea whenever they want and go to the gym. They can also charge minor fees from their fellow inmates, Meduza reports. There is also a system of collaborators operating beyond the prison walls, and this is truly a gang of blood-suckers, the former inmate says. They look for violations of the prison regime, write reports and engage in punishments. They charge fees on the incoming packages and parcels, and from other inmates’ shopping in the prison store. If you don’t pay, you will get extra hours of hard labor. They also force inmates to acknowledge guilt for additional crimes they have not committed and are allowed to put fellow-prisoners in confinement where they are beaten and squeezed. However, there are no rapes, the ex-prisoner claims. He says he regrets his engagement as conspirator. «It was unpleasant to assist the employees in their dirty work […] I only thought about staying alive and not lose my health, I understood that I was surviving on somebody else’s expense», he says. «The only thing I can do now - as a self-justification - is to tell about what happened in the prison, and when I saw what Dadin wrote, then I understood that I have to speak up», he says to Meduza. 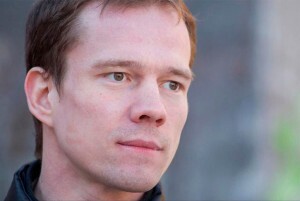 According to Anastasia Zotova, wife of Ildar Dadin, her husband is now strongly affected by the stay in prison. «His hands were shaking, his lip twitched to one side, his cheek is jerked, and he had a constant nervous tic», she told 7x7-journal after a meeting in the prison last week. «It is a kind of hell», she underlines. Prison No 7 in Segezha, Republic of Karelia, has got international attention after Dadin reported about torturous treatment. The prison is also known as the place where Mikhail Khodorkovsky was locked up for more than two years.